Have confidence, take credit for your work, be the leader you wish to see. These are just a few of the things that we will remember from the incredible Women in Media, Entertainment, Creative-Tech Panel. 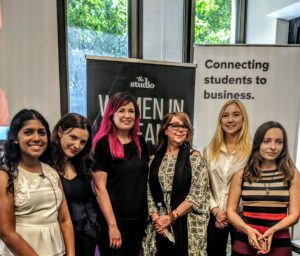 It was fantastic to see so many amazing industry representatives and bright, talented students connect at the Women in Media, Entertainment, Creative-Tech Panel. 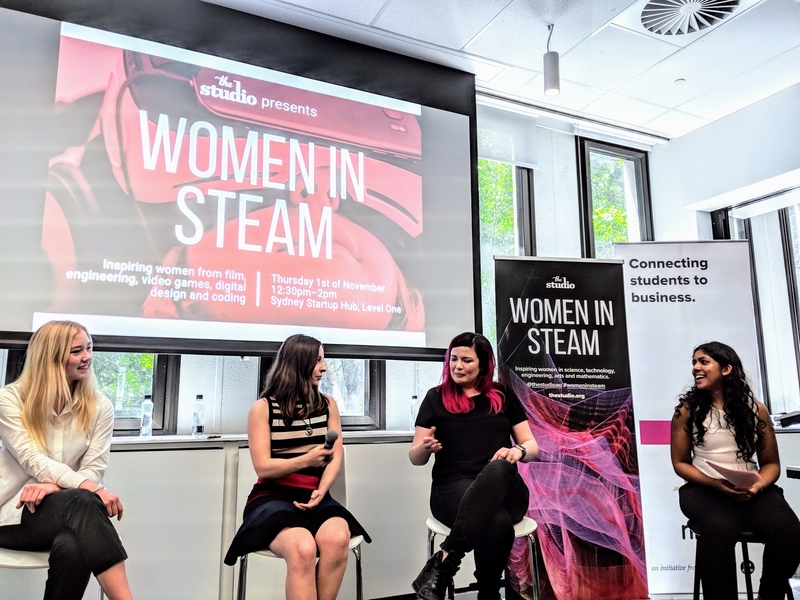 Ribit and Sydney’s premier media & creative-tech hub, The Studio, held a special Q&A panel and networking session aimed at inspiring future generations of young women looking for opportunities in the media, entertainment & creative tech sector. The women’s panel was hosted by Anorah John, innovation specialist at World Wildlife Fund. The fantastic-five female panelists included Katy Andrews from IGA Worldwide, Kate Armstrong-Smith from The Working Group, Felicity Coonan from Animal Logic, Inga Pflaumer from SMG Studio, as well as our very own Jara Bockx. Have confidence in your own abilities. When there is no one around who mirrors you or represents you this can be difficult. Technology is assisting in creating these connections and this confidence. Make sure that you get the credit for the work you have done. If you’ve put in the time you don’t have to share the win; it’s yours. The official panel was followed by a riveting question time, with thought-provoking ideas being posed and discussed by the panel and audience. 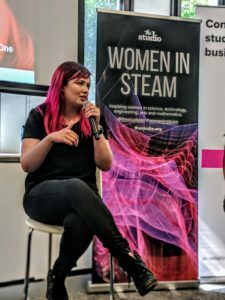 Students got the chance to connect with a range of women leaders, as well as get mentorship, guidance and empowerment from industry representatives from startups and innovative companies, such as TinkerTank. It was an inspiration to see the engagement and aspirational commitment, (with two students travelling all the way up from Canberra!) of our Ribit student talent. We will be looking forward to again see women leaders join forces at our annual International Women’s Day event next year! Fantastic to see so many industry representatives and bright, talented students connect at the Women in Media, Entertainment, Creative-Tech Panel. Last week, Ribit.net and Sydney’s premier media & creative-tech hub – The Studio Au – held a special Q&A panel and networking session aimed at inspiring future generations of young women looking for opportunities in the media, entertainment & creative tech sector. Hosted by Anorah John, innovation specialist at World Wildlife Fund, the amazing female panelists included: Katy Andrews from IGA Worldwide, Kate Armstrong-Smith from The Working Group, Felicity Coonan from Animal Logic, Inga Pflaumer from SMG Studio & our Jara Bockx. Ribit runs speed networking events, but we’re also a free jobs matching platform connecting tertiary students with paid jobs, internships, placements, projects and graduate roles. We have around 2,000 employers across Australia! Simply hop on to your Ribit account, make sure your profile is complete, and search through the available opportunities. It really is that easy! Please follow us on Facebook and LinkedIn to stay up to date. Want to attend another event? Ribit runs speed networking events regularly, and we have plenty in the works for 2019. See our events page for all upcoming dates, and be sure to read our monthly newsletters for event announcements.